Voltaite: Mineral information, data and localities. Green to greenish-black; oil-green to pale green in transmitted light. 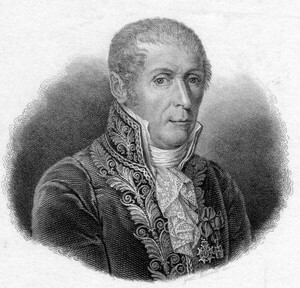 Named after Count Alessandro Giuseppe Antonio Anastasio Volta (18 February 1745, Como, Italy - 5 March 1827, Como, Italy), physicist and pioneer in electricity who invented the electric battery. Voltaite Group. The Fe2+ analogue of magnesiovoltaite, and K-Fe2+ analogue of ammoniomagnesiovoltaite. Belongs to a group of ferrous-ferric sulfate minerals, together with bílinite, copiapite, römerite (purely Fe minerals), metavoltine, and pertlikite. Cubic, octahedral, and, rarely dodecahedral and in combinations of these. Massive, granular. Halotrichite 28 photos of Voltaite associated with Halotrichite on mindat.org. Römerite 20 photos of Voltaite associated with Römerite on mindat.org. Coquimbite 18 photos of Voltaite associated with Coquimbite on mindat.org. Copiapite 9 photos of Voltaite associated with Copiapite on mindat.org. Goldichite 9 photos of Voltaite associated with Goldichite on mindat.org. Alunogen 7 photos of Voltaite associated with Alunogen on mindat.org. Millosevichite 5 photos of Voltaite associated with Millosevichite on mindat.org. Krausite 3 photos of Voltaite associated with Krausite on mindat.org. Pyrite 3 photos of Voltaite associated with Pyrite on mindat.org. Metavoltine 2 photos of Voltaite associated with Metavoltine on mindat.org. Breislak (1792) Essai min. sur la solfatara de Pozzuoli, Naples: 155. Memorie Mineralogische e Geologiche - Napoli (1840) 17. Scacchi (1843) Journal für praktische Chemie, Leipzig: 28: 487. Scacchi (1852) Zeitschrift der Deutsche geologische Gesellschaft, Berlin: 4: 164. Paulinyi (1867) Neues Jahrbuch für Mineralogie, Geologie und Paleontologie, Heidelberg, Stuttgart: 457. Blaas (1881) Mineralogische und petrographische Mitteilungen, Vienna: 3: 499. Blaas (1883) Konigliche Akademie der Wissenschaften, Vienna, Sitzber. : 87: 143. Collins (1923) Mineralogical Magazine: 20: 32 (Serrano analysis). Ulrich (1923) Casopis pro min. a geol. Anderson (1927) American Mineralogist: 12: 287. Ulrich (1927) Neues Jahrbuch für Mineralogie, Geologie und Paleontologie, Heidelberg, Stuttgart: I: 330. Lausen (1928) American Mineralogist: 13: 226. Gossner and Arm (1929) Zeitschrift für Kristallographie, Mineralogie und Petrographie, Leipzig: 72: 202. Gossner and Besslein (1934) Centralblatt für Mineralogie, Geologie und Paleontologie, Stuttgart: 358. Mélon and Donnay (1936) Société géologique de Belgique, Liége, Bulletin: 59: B162. Bandy (1938) American Mineralogist: 23: 749. Palache, C., Berman, H., and Frondel, C. (1951) The System of Mineralogy of James Dwight Dana and Edward Salisbury Dana, Yale University 1837-1892, Volume II. John Wiley and Sons, Inc., New York, 7th edition, revised and enlarged, 1124 pp. : 464-465. American Mineralogist (1967) 52: 617-634. Mereiter, K. (1972) Die Kristallstruktur des Voltaits, K2Fe52+Fe33+Al[SO4]12.18H2O. Tschermaks Mineralogische und Petrographische Mitteilungen, 18, 185—202. Majzlan, J., Schlicht, H., Wierzbicka-Wieczorek, M., Giester, G., Pöllmann, H., Brömme, B., Doyle, S., Buth, G., and Bender Koch, C. (2013) A contribution to the crystal chemistry of the voltaite group: solid solutions, Mössbauer and infrared spectra, and anomalous anisotropy. Mineralogy and Petrology, 107, 221-233. The following Voltaite specimens are currently listed for sale on minfind.com. 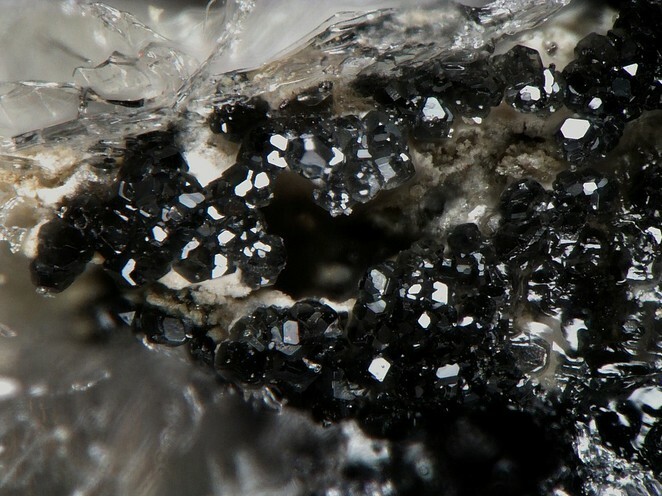 Marquez Zavalia, M. F. (1986): Challantite of Capillitas Mine, Catamarca. Revista de la Asociacion Argentina de Mineralogia, Petrologia y Sedimentologia 17, 19-22. (in Spanish); MARQUEZ-ZAVALIA, M.F.. The As-rich end-member of the jordanite-geocronite series of the Capillitas Mine, Catamarca. Rev. Asoc. Geol. Argent. [online]. 2006, vol.61, n.2, pp. 231-235. Marquez-Zavalia, Maria Florencia, Lomniczi de Upton, Irene & Galliski, Miguel Angel (2001): Krausite in fumaroles from Santa Barbara mine, northwestern Argentina. Neues Jahrbuch für Mineralogie, Monatshefte 2001, 378-384. ; Zavalia, Maria Florencia Marquez & Galliski, Miguel Angel (1995): Goldichite of fumarolic origin from the Santa Barbara mine, Jujuy, northwestern Argentina. Canadian Mineralogist 33, 1059-1062. 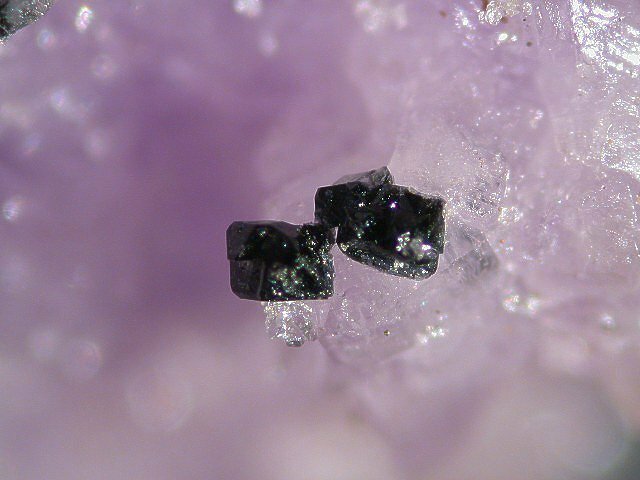 Sielecki, R (1985): Voltaite and Römerite from the Mt Isa Mine, Queensland: The First Occurrence in Australia, The Australian Mineralogist, Vol 1 Nos. 1 - 51 (March 1985 p 285). Walter, F. and Postl, W. (1983) Ammoniojarosit und Voltait vom Muttlkogel, Zangtaler Kohlenrevier bei Voitsberg, Steiermark. Mitteilungen der Abteilung für Mineralogie am Landesmuseum Joanneum, 51, 29-32. Palache, C., Berman, H., & Frondel, C. (1951), The System of Mineralogy of James Dwight Dana and Edward Salisbury Dana, Yale University 1837-1892, Volume II: 605; Mineralogical Record: 32: 465.; Lindgren, W. and Creveling, J.G. (1928) The ores of Potosi, Bolivia. Economic Geology, 23, #3, 233-262. Sabina, Ann P. (1991) Rocks and Minerals for the Collector: Sudbury to Winnipeg, Geological Survey of Canada Miscellaneous Report 49. Malcherek, T. & Schlüter, J. (2010): Anatacamite from La Vendida mine, Sierra Gorda, Atacama desert, Chile: a triclinic polymorph of Cu2(OH)3Cl. Neues Jahrbuch für Mineralogie - Abhandlungen, 187, 307-312. Kampf, A.R. ; Mills, S.J. ; Housley, R.M. ; Williams, P.A. ; Dini, M. (2012): Alcaparrosaite, K3Ti4+Fe3+(SO4)4O(H2O)2, a new hydrophobic Ti4+ sulfate from Alcaparrosa, Chile. Mineralogical Magazine 76, 851-861. Chouinard, A., Paquette, J., & Williams-Jones, A. E. (2005). Crystallographic controls on trace-element incorporation in auriferous pyrite from the Pascua epithermal high-sulfidation deposit, Chile–Argentina. The Canadian Mineralogist, 43(3), 951-963. Palache, C., Berman, H., & Frondel, C. (1951), The System of Mineralogy of James Dwight Dana and Edward Salisbury Dana, Yale University 1837-1892, Volume II: 465. Blaß, G. and Strehler, H. (1993): Mineralbildungen in einer durch Selbstentzündung brennenden Bergehalde des Aachener Steinkohlenreviers. Mineralien-Welt 4 (4), 35-42. (in German); XRD analysis (T. Witzke); Sindern, S., Warnsloh, J. M., Witzke, T., Havenith, V., Neef, R. & Etoundi, Y. 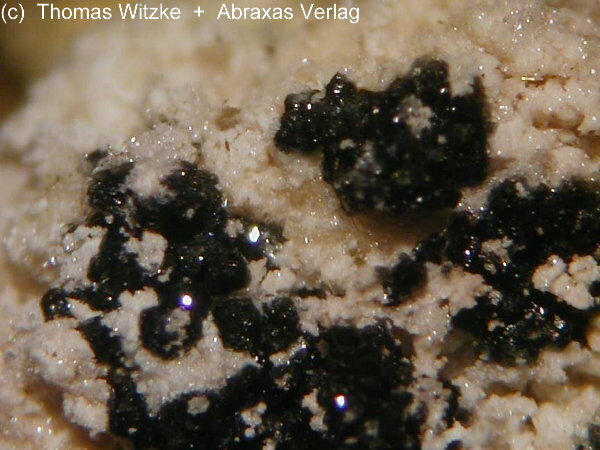 (2005): Mineralogy and geochemistry of vents formed on the burning coal mining waste dump Anna I, Alsdorf, Germany. Eur. J. Mineral. 17, Beih. 1, 130; Witzke, T., de Wit, F., Kolitsch, U. and Blaß, G. (2015): Mineralogy of the Burning Anna I Coal Mine Dump, Alsdorf, Germany. Chapter 7, pp. 203-240, in: Stracher, G. B., Prakash, A. and Sokol, E. V.: Coal and Peat Fires: A Global Perspective, Volume 3: Case Studies - Coal Fires, Elsevier, 786 pp. Hanke, H. (1994): Neues aus Lavrion: Eisen-, kupfer- und kobalthaltige Hydro-Sulfate aus dem Revier Plaka. Emser Hefte, 1994 (2); Schnorrer, G. & Breitenbach, H. (1996): Lavrion: Neufunde aus dem antiken Bergbau und in historischen Schlacken. Lapis, 21 (1), 45-48; 62. Bariand, P., Cesbron, F. & Berthelon, J. P. (1977): Iron sulfates of Saghand near Yazd (Iran). Memoire Hors-Série de la Société Géologique de France 8, 77-85. I. Campostrini, 2008, pers. com. [M.E. Ciriotti]. PANICHI U. (1924): Contributo allo studio dei minerali dell'Isola di Vulcano. - Memorie della Società Italiana delle Scienze (detta dei XL) - serie 3 - 19, 3-55. Brizzi G., Masotti A., 1989. Campiano: un vanto d'Italia. La miniera e i suoi minerali. Riv. Miner. Ital., 12: 1-20. Biagioni, C., Orlandi, P., & Bonini, M. (2008). Fornovolasco. Storia e minerali delle miniere di ferro presso Vergemoli (Alpi Apuane). Rivista Mineralogica Italiana, 4/2008, 230-252; Mauro D. (2016): Studio cristallochimico di alcuni solfati di ferro della mineralizzazione a pirite tallifera di Fornovolasco (Alpi Apuane). Tesi magistrale, Dipartimento di Scienze della Terra, Unviersità di Pisa, 137 pp. Stalder, H. A., Wagner, A., Graeser, S. and Stuker, P. (1998): Mineralienlexikon der Schweiz. Wepf (Basel), p. 121. Anthony, J.W., et al (1995), Mineralogy of Arizona, 3rd.ed. : 297; Grant, Raymond W., Bideaux, R.A., and Williams, S.A. (2006) Minerals Added to the Arizona List 1995-2005: 7. Palache, C., Berman, H., & Frondel, C. (1951), The System of Mineralogy of James Dwight Dana and Edward Salisbury Dana, Yale University 1837-1892, Volume II: 531; Anthony, J.W., et al (1995), Mineralogy of Arizona, 3rd.ed. : 184, 415; Merwin, H.E. & E. Posnjak (1937), Sulphate encrustations in the Copper Queen mine, Bisbee, AZ, Am.Min. : 22: 567-571; Galbraith, F.W. & D.J. Brennan (1959), Minerals of AZ: 59. Hanson, S. L., A. U. Fastner, W. B. Simmons (2008) Mineralogy of the Fumerole deposits at Sunset Crater Volcano National Monument, Northern Arizona. Rocks & Mnerals 83:6 pp 534-544. Anthony, J.W., et al (1995), Mineralogy of Arizona, 3rd.ed. : 354, 388, 416. Anthony, J.W., et al (1995), Mineralogy of Arizona, 3rd.ed. : 416; Lausen, C. (1928), Hydrous sulphates formed under fumerolic conditions at the United Verde mine, AmMin: 13: 203-229; Anderson, C.A. (1927), Voltaite from Jerome, AZ, Am.Min. : 12: 287-290; Hutton, C.O. (1959a), Yavapaiite, an anhydrous potassium, ferric sulfate from Jerome, AZ: Am.Min. : 44: 1105-1114; Galbraith, F.W. & Brennan (1959), Minerals of AZ: 59. Murdoch, Joseph & Robert W. Webb (1966), Minerals of California, Centennial Volume (1866-1966): California Division Mines & Geology Bulletin 189: 382; Pemberton, H. Earl (1983), Minerals of California; Van Nostrand Reinholt Press: 278. Melville, William Harlow & Waldemar Lindgren (1890), Contributions to the mineralogy of the Pacific coast: USGS Bulletin 61, 40pp. : 23; Pemberton, H. Earl (1983), Minerals of California; Van Nostrand Reinholt Press: 278. Pemberton, H. Earl (1983), Minerals of California; Van Nostrand Reinholt Press: 278; www.mineralsocal.org. Day, Arthur L. & E.T. Allen (1925), The volcanic activity and hot springs of Lassen Peak, California: Carnegie Instit. Washington Pub. 360, 190 pp. ; […Volcano Letter o. 293: 1-3 1930]: 118; Anderson, Charles A. (1927), Voltaite from Jerome, Arizona: American Mineralogist: 12: 290; Murdoch, Joseph & Robert W. Webb (1966), Minerals of California, Centennial Volume (1866-1966): California Division Mines & Geology Bulletin 189: 382. Mineralogical Record 22:381-382; Nordstrom, D. K. and Alpers, C. N. (1999): Negative pH, efflorescent mineralogy, and consequences for environmental restauration at the Iron Mountain Superfund site, California. Proc. Natl. Acad. Sci., USA 96, 3455-3462.; Majzlan, J., Alpers, C. N., Koch, C. B., McCleskey, R. B., Myneni, S. C., & Neil, J. M. (2011). Vibrational, X-ray absorption, and Mössbauer spectra of sulfate minerals from the weathered massive sulfide deposit at Iron Mountain, California. Chemical Geology, 284(3), 296-305. Jamieson, H. E., Robinson, C., Alpers, C. N., McCleskey, R. B., Nordstrom, D. K., & Peterson, R. C. (2005). Major and trace element composition of copiapite-group minerals and coexisting water from the Richmond mine, Iron Mountain, California. Chemical Geology, 215(1), 387-405. Allen, Eugene T. & Arthur L. Day (1927), Steam wells and other thermal activity at “The Geysers,” California: Carnegie Institute Washington Publication 378: 40; Vonsen, Magnus (1941) Preliminary report on minerals of The Geysers of Sonoma County, California. Mineralogist: 9: 246; Palache, C., Berman, H., & Frondel, C. (1951), The System of Mineralogy of James Dwight Dana and Edward Salisbury Dana, Yale University 1837-1892, Volume II: 476. Vonsen, Magnus (1941) Preliminary report on minerals of The Geysers of Sonoma County, California. Mineralogist: 9: 247; Vonsen, Magnus (1946), Minerals at “The Geysers,” Sonoma County, California: California Division Mines Report 42: 291; Pemberton, H. Earl (1983), Minerals of California; Van Nostrand Reinholt Press: 278.